With a successful career in corporate sales, Lori opted for a career change in 1999 to combine the three loves of her life, Family, Community, and The American Dream of Home Ownership. Her career launched by specializing in Elite Homes and Ranch Properties in the Eastern Contra Costa County Communities. Lori’s knowledge of construction, land acquisitions, marketing, and ethical business practices moved her very quickly to one of the most highly respected and sought after agents to want to do business with. 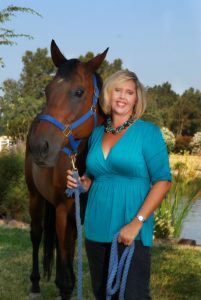 Her energy, spirit and referral business allowed her to grow into a Broker/Owner of Delta Ranches & Homes. Delta Ranches & Homes has been voted, year after year since 2007 “Best of Brentwood” by the local citizens. Winning Best of Brentwood Awards over and over demonstrate local popularity and respected brockerage. Lori credits the awards to both reputation for only hiring the best agents, and her interaction and dedication to the community with many local schools and organizations. Delta Ranches & Homes will always be the area leader in the high end homes and ranch properties. Delta Ranches & Homes has been selected by banks as being a top broker for listing bank owned and REO properties. Representing companies such as Chase, Wells Fargo, US Bank, Bank of America, CALhfa and prestigous asset management companies; all whom represent a wide selection of Foreclosed Homes. The REO team includes, billing and listing specialists, a BPO division, California Licensed Agents, and Lori Abreu herself to lead up all the contractual and marketing strategies for these properties. “Our goal is to have these homes look and show like a traditional sale. To achieve this we invest in cleaning, staging, yard maintenance and advertising for our Banks”, Abreu says. Delta Ranches and Homes and Lori Abreu are proud to have handled of some of the highest price per square foot home sales in the Brentwood area, as well as the Hannah Nicole Winery and personal residence at a total combinend price of $9,500,000. We believe in being a full service brokerage by offering experienced buyer representation, listing agents as well as property management. In her personal life, Lori has been married for over twenty-eight years. She and her husband keep busy with their two adult daughters. Lori lives on their 11 acre ranch which also homes animals such as horses, goats, dogs, cats, chickens, pig etc. Their family is involved in both competitive waterskiing, other watersports and enjoy houseboating. Both of their daughters are involved with cheerleading, and Abreu herself has coached cheer for 7 years at the high school and middle school levels. Being a member of the Real Estate Community is a seven day a week job. Lori believes she is very fortunate to have such an understanding family who is willing to share a great deal of her time, allowing her the success. Lori believes staying updated in todays chanigng market by education is one of the most important benefits for our clients. Entering the market as a traditional sales dominate, we quickly became one of the top REO/Bank listing teams in the community and now a Short Sale specialist. Lori is one of the few Priority Agents hand selected by Chase to launch their Short Sale Program in Contra Costa County.